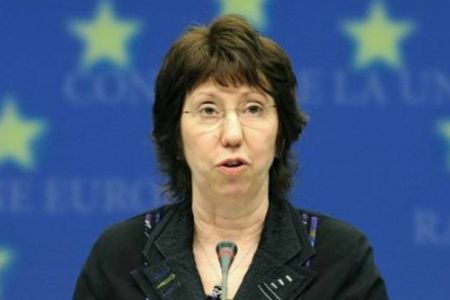 European Union Foreign Policy Chief, Catherine Ashton, expressed deep disappointment over the Israeli plans to expand settlements, advancing the construction of over 2300 housing units, according to a statement published on Saturday. Any unilateral action prejudging final status issues threatens the current peace negotiations and, as a consequence, the two-state solution, said the statement. This has been repeatedly stressed by the international community. The 28 Foreign Ministers of the Member States of the European Union unanimously warned against actions that undermine the current negotiations and deplored Israel's continuous expansion of settlements. I urge the Israeli authorities to reconsider their plans and to reverse their decision, the statement concluded. British Foreign Office Minister for the Middle East, Hugh Robertson, condemned Israeli government's plans for 2,372 settlement units in West Bank and emphasized the need for just and lasting settlement, Saturday said an FCO press release. Commenting on decisions taken by the Government of Israel on 19 March to advance plans for 2372 new settlement units in the West Bank, Minister for the Middle East Hugh Robertson, said “I condemn the decisions taken by the Israeli authorities to advance a number of settlement plans in the occupied West Bank. The UK’s position on settlements is longstanding: they are illegal under international law, undermine trust and threaten the viability of the two-state solution,' he said. 'Nothing must detract from international efforts to secure a lasting, just and final settlement to the conflict,' Robertson concluded. 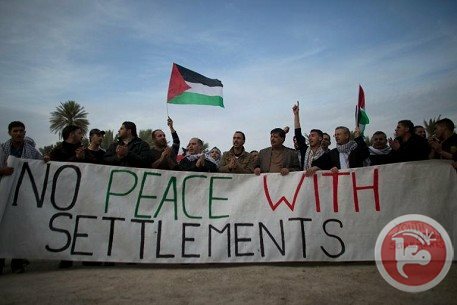 The United Nations Special Coordinator for the Middle East Peace Process, Robert Serry, expressed Saturday his grave concern over the Israeli government's reported plans to advance over 2,300 settlement units, many of which deep inside the West Bank. Serry stressed that settlements are illegal under international law and cannot be reconciled with Israel's stated intention to pursue a two-state solution. 'This development is particularly unhelpful against the backdrop of a volatile situation on the ground and as US-led peace negotiations have reached a critical stage,' he concluded. Luxembourg Minister for Foreign Affairs, Jean Asselborn, stressed on Saturday his country's support for the establishment of an independent Palestinian state within 1967 borders with East Jerusalem as its capital and the complete halt of all settlement activities. Asselborn made this statement during a press conference jointly held with Palestinian Foreign Minister, Riyad al-Malki, at the Ministry of Foreign Affairs in Ramallah. Asselborn called for Israel to lift the siege (blockage) imposed on the Gaza Strip and reopen border crossings given the dire humanitarian conditions that he himself first-hand experienced when he visited the besieged strip. US-sponsored peace talks with Israel have reached an impasse because of Jewish settlement activity, a Palestinian spokesman said, as plans for over 2,000 West Bank units were moved forward. The latest crisis comes as Washington scrambles for a formula to allow the Palestinians and Israelis to carry on the peace talks beyond an April 29 deadline. "Israel's settlement activity caused the negotiations to fail and led them to an impasse," Nabil Abu Rudeina, a spokesman for Palestinian president Mahmud Abbas, told AFP. Abu Rudeina was reacting to the decision of an Israeli defense ministry committee, revealed earlier on Thursday, to push forward with plans to build 2,269 new West Bank homes. A ministry spokesman said last month the committee had approved the building of 1,015 units in Leshem, Beit El and Almog, leaving Defense Minister Moshe Yaalon's approval as the final step. The same committee approved 1,254 units in Ariel, Shvut Rachel and Shavei Shomron. Those projects will be published in the media for public comment before returning to the committee for further discussion. Israeli-Palestinian peace talks are teetering on the brink of collapse, with Washington fighting an uphill battle to get the two sides to agree to a framework proposal to extend the negotiations to the year's end. A US State Department spokeswoman, Jennifer Psaki, said that Secretary of State John Keryy had "expressed his concerns" to Israeli Prime Minister Netanyahu about recent remarks by Yaalon disparaging the United States' negotiations with Iran over its nuclear program. She added that, given the nearing deadline of April 29 for the Israeli-Palestinian talks, "we are not surprised that there has been an increase in rhetoric over the past couple of weeks given where we are in the process and the pivotal period. But we're just going to keep our head down and focused on the process." So far, the Palestinians have flatly refused to consider any extension, partly over Israel's persistent settlement construction which has shown no let-up since talks resumed last July. Israeli anti-settlement watchdog Peace Now said the planned new units would create "facts on the ground that distance us from the two-state solution." They were further proof that Israel had "no intention to reach a peace agreement and was doing everything it could to force Palestinian president Mahmud Abbas out of the process." On Wednesday, a municipal committee gave final approval for plans to build 186 new homes in annexed Arab east Jerusalem. Another stumbling block to the prospect of extending talks is the impending release of Palestinian prisoners. Israeli ministers have warned that should the Palestinians not agree to extend talks, they will not release a fourth and final group of inmates as scheduled on March 29. Israel agreed to release a total of 104 prisoners when talks kick-started by US Secretary of State John Kerry began last July. Earlier this month, Abbas said Palestinians will not agree to extend peace talks unless Israel agrees to release more prisoners. He demanded in talks with US President Barack Obama on Monday that Israel free key Palestinian prisoners, according to the Palestinian prisoner club. Abbas referred to Popular Front for the Liberation of Palestine leader Ahmad Saadat, former Palestinian Liberation Organization finance official Fuad Shubaki and Marwan Barghuti, an architect of the 2000 intifada. A visiting EU parliamentary delegation on Thursday urged Israel to release long-term Palestinian prisoners, saying it was crucial to move the fragile peace process forward. Israel has progressed with plans for more than 2,000 new homes in six Jewish settlements across the West Bank an official said Thursday, in a move likely to further endanger peace talks. Guy Inbar, a spokesman for the defense ministry unit responsible for civilian affairs in the Palestinian territories, said a ministry committee had furthered existing plans for 2,269 homes at a meeting last month. He confirmed claims by anti-settlements Israeli group Peace Now about decisions on two sets of projects, which the watchdog said the committee had examined on February 19. In the first case, the committee approved for validation 1,015 units in Leshem, Beit El and Almog, meaning the only remaining formality for their final approval is the okay of Defense Minister Moshe Yaalon. 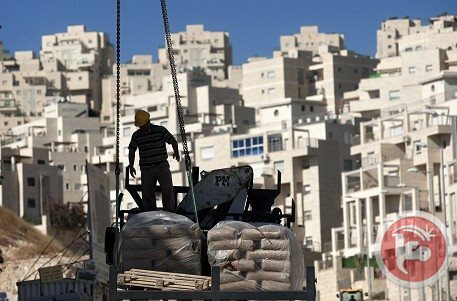 The same committee approved for deposit 1,254 units in Ariel, Shvut Rachel and Shavei Shomron, meaning those projects will now be published in the media for public comment before returning to the committee for further discussion. 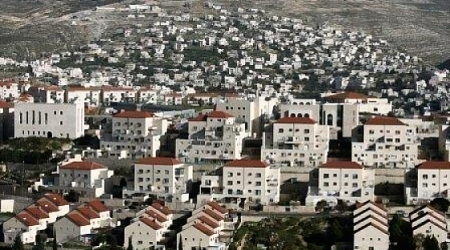 Haaretz newspaper, which first reported the story, noted the Ariel plans for 839 units had been "snarled in bureaucracy for the past decade," and the 290 units in Beit El were part of a promise made by Prime Minister Benjamin Netanyahu when he evacuated a neighborhood in that settlement 18 months ago. Lior Amihai, a Peace Now official, noted that the decisions have yet to be officially published. He also told AFP that while the February committee was not the final stage of the planning process for the units, the decision to move them forward was extremely meaningful. "Every stage of advancing (construction) plans in the (West Bank) is a political decision by Defense Minister Moshe Yaalon," he said. US-led peace talks between Israel and the Palestinians are teetering on the brink of collapse ahead of an April 29 deadline for a deal. Washington is fighting an uphill battle to get the two sides to agree to a framework proposal to extend the negotiations to the year's end. The new units would create "facts on the ground that distance us from the two-state solution," Amihai added, and were further proof Israel had "no intention to reach a peace agreement and was doing everything it could to force Palestinian president Mahmud Abbas out of the process." 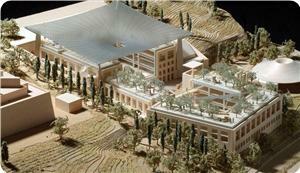 On Wednesday, a municipal committee gave final approval for plans to build 186 new homes in occupied East Jerusalem. The PLO said in a statement on Tuesday that Israeli authorities have begun work on 10,509 housing units in illegal Jewish settlements across the West Bank since the beginning of peace talks, while simultaneously demolishing 146 Palestinian homes. Israel has moved forward plans to build more than 2,000 new housing units in six West Bank settlements, a defense official told AFP Thursday. Guy Inbar, a spokesman for the defense ministry unit responsible for civilian affairs in the Palestinian territories, said a ministry committee at a hearing last month had furthered existing plans for 2,269 homes. 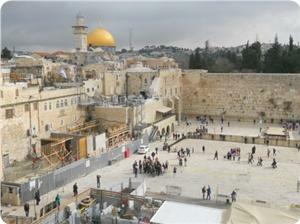 Israel moved forward Wednesday with plans to build another 186 new homes in East Jerusalem, a city councilor told AFP. The plans would see construction of 40 new homes in Pisgat Zeev and 146 in Har Homa, both of them settlement neighborhoods built on territory seized by Israel during the 1967 Six Day War, Yosef Pepe Alalu said. An official of the Israeli left-wing party Meretz told the Hebrew-language news site Walla that the municipality officials came to the conclusion that the chances of a peace deal with the Palestinians had become very slim. As a result, the municipality sped up construction activities, the official said. 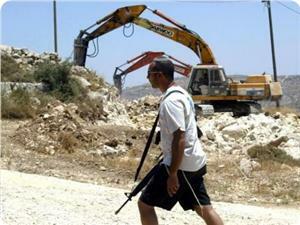 The municipality knows "construction in Har Homah weakens chances of reaching a peace agreement," he added. Israel's government has announced the construction of thousands of housing units in illegal settlements since peace talks began in July. 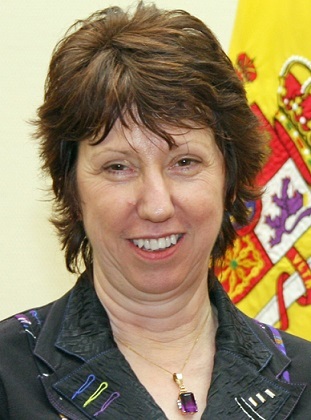 Catherine Ashton, Foreign Policy Chief of the European Union, stated Monday she opposes boycotting Israel, yet, affirmed the EU opposes Israel construction and expansion of Jewish settlements in the occupied territories. Her statements came during a press release, following a meeting with the 28 European Foreign Ministers, in Brussels. Ashton said the stances of the EU regarding Israel’s settlements have not changed, and denounced Israel’s settlement construction and expansion activities. “The EU does not want the isolation of Israel and its companies”, she said, “We are trying to find a peaceful solution to the conflict”. She added that the European Union supports all efforts of U.S. Secretary John Kerry in trying to reach a peace agreement between Israel and the Palestinians. Ashton further stated the European Union intends to provide Israel and the Palestinian Authority what she described as “an unprecedented package” that includes support measures for both Israel and the Palestinians should they sign a peace agreement. The Israeli occupation authority (IOA) has approved on Sunday the construction of 182 housing units in Ramot settlement neighborhood allocated for Israeli soldiers. 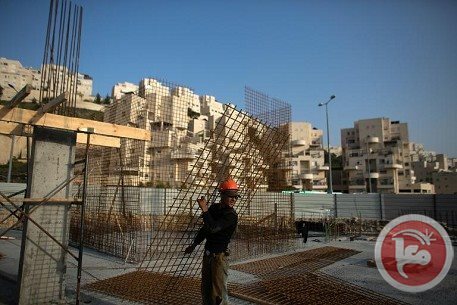 Israeli municipality in occupied Jerusalem said the settlement project included the building of 734 housing units, including 300 housing units in 2013 allocated for Israeli security forces. It said that 166 new housing units are planned to be established for Israeli policemen, while 128 housing units are approved for the public. The Israeli municipality said that the mentioned settlement project came as part of Israeli policy declared in "Jerusalem Day" in 2012, which aims to encourage the establishment of neighborhoods for Israeli conscripts in Jerusalem. The Israeli decision to approve new housing units came on the eve of Palestinian and US presidents’ meeting in Washington and in light of the American continued pressures on the Palestinians to accept the "framework agreement" as proposed by Secretary of State John Kerry. Israeli Housing Ministry approved Tuesday construction permits for 387 settlement units in Ramat Shlomo settlement to the south of occupied Jerusalem. By this decision, occupation authorities aim to expand the settlement by adding 1500 units for the east side towards Ramot settlement. The settlements of Ramat Shlomo and Ramot will form huge enclave on the northern border of Jerusalem to isolate and separate the western villages from the city, to cut geographically the connection between those villages and to encircle Jerusalem by bypass roads to serve settlements and settlers. Member of the Executive Committee of the PLO and Head of the Jerusalem Affairs, Ahmed Qurei, stressed that the permits will swallow more lands in the town and deprive Palestinian citizens in Beit Hanina and Shuafat towns of their lands. They will not be able any more to invest those lands for their favor. In the shadow of US efforts to make peace, Israeli occupation continues to violate all Palestinian legitimate rights, yet no one cares, Qurie said. Youth Against Settlement took part in the twenty-fifth session of the UN Human Rights Council, which was held last Thursday in Geneva. Speaking on behalf of four hundred international institutions, the group coordinator Issa Amro, from the city of al-Khalil, delivered a speech during the session calling on the council to continue to support the legitimate rights of the Palestinian people to self-determination and statehood by prompt and effective actions. 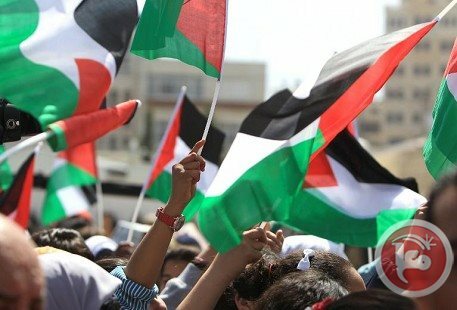 Amro stressed the commitment of the civil society in Palestine and the world with the United Nations resolutions and the international law and urged the UN to support all human rights defenders in order to put an end to the Israeli occupation's policy of racial discrimination and the deportation of the people in al-Khalil. He also called on all the world countries to take serious actions and put pressure on Israel to end the occupation of the Palestinian land. Youth against Settlement coordinator urged the council "to ensure the prompt and effective implementation of the conclusions of its international fact-finding mission on the settlements that are strangling the life blood from Palestine," he said. Israeli Prime Minister Benjamin Netanyahu on Friday raised the possibility that some Jewish settlements would remain under Palestinian sovereignty if the two sides struck a peace deal. 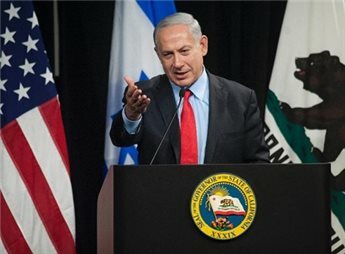 "It is clear that some of the settlements will not be part of a (peace) deal," Netanyahu, wrapping up a visit to the United States, told Israeli television. "I will not abandon anyone. I will not leave any Israeli unprotected," he added when asked if some West Bank areas with settlements would form part of a future Palestinian state. The prime minister reiterated that peace with the Palestinians hinged on their recognition of Israel as a Jewish state and ruled out concessions on annexed east Jerusalem where the Palestinians want to set up their future capital. Netanyahu met Monday with US President Barack Obama who told him that Israel needed to take tough decisions if peace talks with the Palestinians were to advance. Obama is due to meet Palestinian leader Mahmud Abbas on March 17 at the White House. US Secretary of State John Kerry has been struggling to get Israel and the Palestinians to agree a framework for extending direct peace talks beyond an April 29 deadline. But Israel and the Palestinians remain divided on all the major issues, including borders, security, settlements, Jerusalem and Palestinian refugees. The Israeli occupation authority (IOA) continued on Thursday construction works to expand Njihut settlement on Palestinian lands south of al-Khalil. Local sources told the PIC reporter that the IOA have started construction work to expand northern part of Njihut settlement after establishing housing units on its eastern part few months ago. 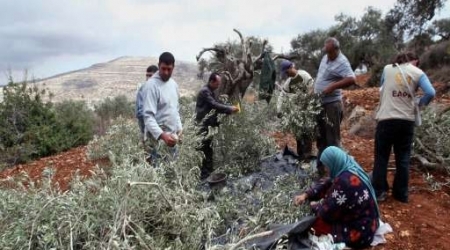 The settlement expansion would prevent movement between Palestinian villages and towns in al-Khalil and the neighboring areas, where Israeli settlers have seized during the past two years a mountain off the settlement and large neighboring areas. The information center of Wadi Hilwa-Silwan said that the Israeli occupation authority initiated a new Judaization project on Palestinian land in Al-Sawana neighborhood to the east of occupied Jerusalem. In a report on Tuesday, the information center said that the project includes the establishment of a park and terraces of seats overlooking the Old City of Jerusalem, the Aqsa Mosque and their surrounding areas and neighborhoods. The center added that Moriah construction company was hired by the Israeli municipal council in Jerusalem to carry out this project. For his part, specialist in settlement affairs Ahmed Sablaban said that this new project is aimed at connecting the area between Beit Orot settlement and Gethsemane church in order to create territorial contiguity between the Israeli outposts and gardens in Silwan and Ras Amud area and the ones located in Attour and Sawana neighborhoods. Starts on new settlement building in the occupied West Bank increased by 123.7 percent last year, Israeli government data released Monday showed. The release by the Central Bureau of Statistics came hours before Israeli Prime Minister Benjamin Netanyahu was to meet at the White House with President Barack Obama, who has criticized settlement construction. "We have seen more aggressive settlement construction over the last couple years than we've seen in a very long time," Obama said in an interview with Bloomberg View columnist Jeffrey Goldberg published on Sunday. "If Palestinians come to believe that the possibility of a contiguous sovereign Palestinian state is no longer within reach, then our ability to manage the international fallout is going to be limited." The Palestinians have long viewed Israeli settlement construction as a major obstacle to peace talks, arguing that Israel is actively building on land that should be part of their future state. Israeli settlement watchdog Peace Now said that government figures showed that work began on 2,534 settlement housing units in 2013 compared to 1,133 the year before. 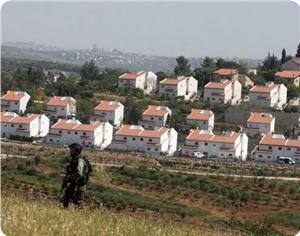 "It's official, the Netanyahu government is committed to only one thing: building settlements. 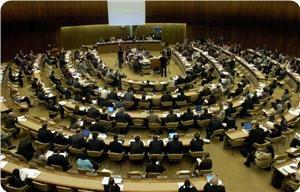 It shows the lack of commitment to negotiations," a Peace Now statement said. Obama is expected to try to persuade Netanyahu to accept a US framework for final peace talks with the Palestinians, but the Israeli leader has vowed to resist all "pressures." Washington brought the Israelis and Palestinians back to the negotiating table in July following a three-year hiatus, after the last talks broke down in 2010 over the settlements dispute. The Aqsa Foundation for Endowment and Heritage stated that Israeli occupation authorities (IOA) have recently started implementing Strauss House project on the western side of Buraq Square in al-Aqsa Mosque. According to the foundation, the project came in parallel with the Israeli policy to wipe out Islamic relics in al-Aqsa Mosque. A new wide patio, made of concrete, was poured on the ruins of Islamic monuments. Strauss House project is a 1716-square-meter building consisting of three floors and containing a police station, a religious school, a synagogue, an exhibition hall, reception halls and dozens of WCs. In this context, the foundation confirmed that the IOA approved an agreement to pave the way for Elad settlement association to take control over al-Aqsa Mosque from the western and southern sides. The organization said that Elad organization aims to establish settlement projects around al-Aqsa Mosque in Silwan town in order to link between Israeli settlements in Wadi Hilweh neighborhood in the town and Buraq square. 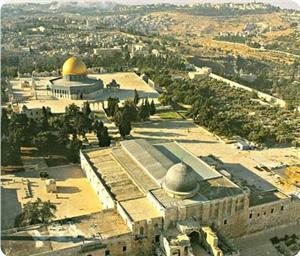 Al-Aqsa Foundation said that Israeli authorities work to implement Judaization and settlement projects aiming to facilitate the arrival of millions of settlers in addition to facilitating tourists' access to Buraq square.